The Oval Mat was conceived by Agung Sangha during Nidra meditation. It dawned on him that there were no straight lines in nature. Everything curved somewhere in the distance. Whether spiral or oval, these shapes resonated with the natural flow. If we came from an egg, why not practice yoga on an egg? Why confine the practice to a rectangle? And so the oval mat came to be. The revolutionary oval mat echoed the wholeness, unity, and warmth of the egg. The first prototypes received rave reviews from the NYC yoga community, and a flock of like-minded folks joined hands and hearts in pursuit of the Qi-Yo Oval Mat. Every shape is a potential source of vibration, therefore the mat is embedded with the texture of blue waves, augmented with a spiral graphic print on the blue, and a Flower of Life pattern on the purple side. Oval means life, the womb, the Mother. Blue waves are reminiscent of purity and fertility, the primordial whirlpool. The spiral hints at the curves of conscious evolution as we navigate change. The Flower of Life carries the blueprint of creation, houses the tree of life, celebrates unity in diversity. Purple invokes imagination and spirituality. Blue generates a scent of celestial love and truth. Egg – the hatching, the inception, the multitude of I’s… floating on the primordial waters of Mother Earth. 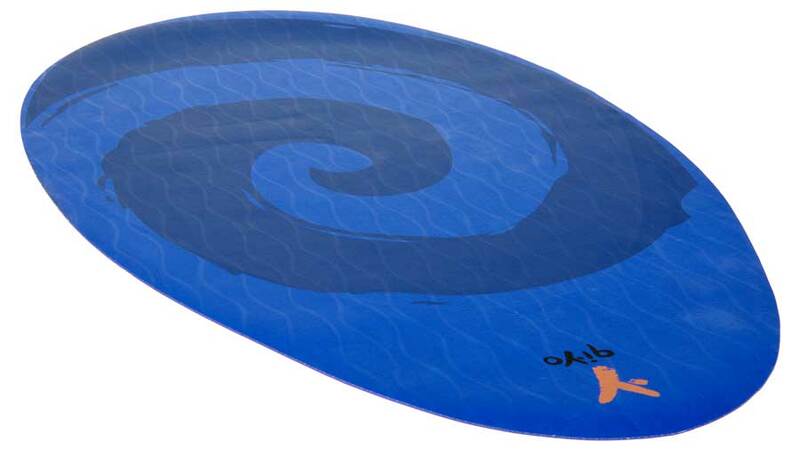 Qi-Yo has tested its oval yoga mats per the radiesthesia method and on the Bovis scale. The results have shown that the energy of the oval, egg-like mat is higher than that of any other shape of mat.